Do you have a sneaking suspicion that the fiberglass insulation in your home or office is falling apart and not doing its job? Do you find bits of pink fluff everywhere? It might be time to ditch your tired old fiberglass insulation and replace it with something that will last. Spray foam is not only more resilient than other kinds of barriers, but it comes with numerous other benefits as well. If you’re concerned about the condition of your home or building due to poor insulation, then spray foam can help solve your problems. Spray foam insulation is liquid polyurethane that dries into a tough foam consistency over a surface. Because it’s liquid, it can fill in tiny cracks and holes that fiberglass can’t protect. Polyurethane insulation also doesn’t come with any health risks. Fiberglass is made up of wiry, pink fibers that can make the skin sore and itchy if exposed to it. These fibers come loose and can be inhaled. Breathing in the fibers can cause lesions inside of the mouth and esophagus. Spray foam doesn’t have tiny particles that break off and float into the air. It’s also harmless to the touch, but is so durable that it does not crumble off anyways. Another benefit of spray polyurethane is that it can make your house or building more hygienic. The thick barrier prevents insects and other pests from sneaking inside. If you’ve had pest control problems in the past, spray foam insulation can be your new exterminator. Not even moisture stands a chance against its tough exterior. Spray foam keeps water out, which means it also keeps away dangerous mold, which can cost a fortune to repair. If you’ve been trying everything to get rid of mold, this material is excellent to use in existing homes. Since it can be a messy procedure, and previous insulation will have to be stripped and removed, it is recommended that only professional perform the service. You may be put off by the initial cost of having your home outfitted with a spray foam insulation kit. However, the money and time you will save in the future more than pays for itself. It will even add more value to the home or building, and you won’t have to worry about replacing it. The best part about polyurethane is that it is environmentally friendly. If you’re trying to make your house or building greener, then spray foam is the way to go. It is made from recyclable and renewable materials, and you’ll be saving energy. Its versatility allows it to be sprayed almost anywhere, so you can even insulate the floors and ceilings. 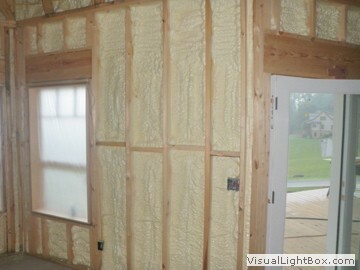 Spray foam insulation is a great move to make when you’re improving your home or building. If you’re looking for a professional Cornelia Spray Foam Contractor, then give us a call today at 678-561-FOAM or complete our request estimate form.